One item that got pulled for further review was the Public Comment code. It starts on page 165. The interesting part is on page 166. 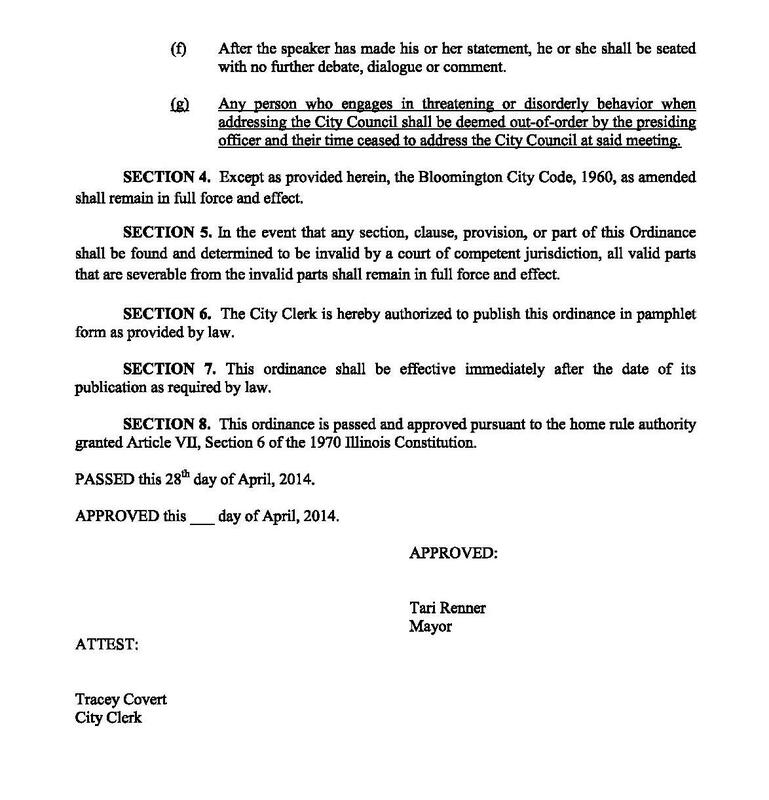 Besides Mayor Renner’s name at the bottom of the document – see the underlined paragraph. I didn’t underline it – it is that way on the City website. Posted in BloNo, Bloomington, Local.Tagged Public Comment Code, Renner, Schmidt. TRUTH is important for citizens to know because without it we can be led astray and with these left-wing Progressives in charge of our city that is there intensions with their constant mantra of Lets Move Forward! Our Republic has been hijacked and no longer are We The People being “represented” by public servants to serve us but they subjugate us to become our masters. This is the Obama style of gangster government we see in DC that is now forming on lower levels of state, county and cities. Thank God for Judy Stearns, Kevin Lower and the BLN News but we need the people of our city to wake up to this travesty! I find it frustrating though, that a lot of people I talk to don’t seem to care.